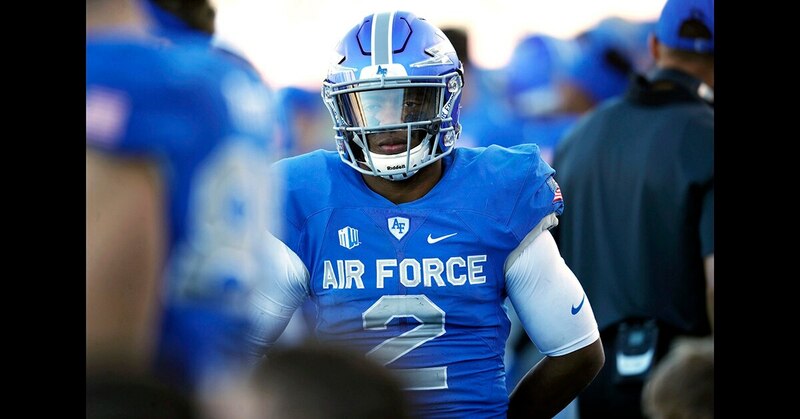 AIR FORCE ACADEMY, Colo. — This much senior quarterback Arion Worthman knows: He’s leaner, faster and ready to lead Air Force’s triple-option offense. And this much Worthman doesn't really know: his muddy backfield situation. The Falcons have a plethora of tailbacks and fullbacks vying for playing time behind Worthman as the Falcons try to rebound from a 5-7 campaign. "It's a good thing, because we do have a lot of depth," Worthman said. "At the same time, we still need guys to step up and say, 'I'm going to take this spot.' We need more guys to make plays more often, more consistently. "Consistency is what we're looking for." Worthman was the team's leading rusher in 2017 with 821 yards and 13 TDs. He's trimmer this season (210 pounds, 8 percent body fat) and speedier (runs in the 4.4-second neighborhood for the 40). Other than that, the offense remains wide open. The tailback spot could be a platoon of Nolan Eriksen, Joseph Saucier, Malik Miller or Kadin Remsberg. The fullback responsibilities — a vital position in the Falcons' option attack — might fall to Parker Wilson, Cole Fagan or Taven Birdow. Receiver Ronald Cleveland will figure heavily in their plans as well. After all, he averaged 9.5 yards per carry last season. Already, Worthman can see a difference. "Last year, a lot of guys were unsure of themselves. We didn't have many returning starters so people were like: 'Can I? Am I? Will I?'" said Worthman, who was a baseball player in high school and is considering trying out for the Falcons on the diamond in the spring. "This year, you look in their eyes and it's like: 'I am. You will. We will.' You really see that in the guys' eyes and the way they carry themselves on the field." Coach Troy Calhoun can sense it, too. That's why he's not too concerned with so many key positions not having established starters. "We just have to see," Calhoun said. "Keep grinding and keep working and find out who can separate a little bit." Senior Kyle Floyd moves from safety to a position the team calls "spur," where he will be a hybrid outside linebacker. The 6-foot-2, 215-pound Floyd was fourth on the team in tackles last season with 60. He also led the Falcons in pass breakups with seven. Calhoun hasn't named a defensive coordinator since Steve Russ left to become the linebackers coach of the Carolina Panthers. One of the candidates appears to be Brian Knorr, who has served as defensive coordinator at Ohio, Wake Forest and Indiana. For now, he's listed as in charge of the "spurs" position. Other potential defensive coordinator possibilities include Tim Cross, the assistant head coach who's in charge of the defensive line, secondary coaches John Rudzinski or Chip Vaughn, inside linebackers coach Ron Vanderlinden or outside linebackers coach Matt Weikert. The Falcons allowed 32.4 point a game last season. Falcons punter Charlie Scott's brother is "JK" Scott, who kicked at Alabama and was a 2018 fifth-round pick by the Green Bay Packers. Charlie Scott, a junior, had 41 punts last season for a 42.1-yard average. He had 12 punts that went 50 or more yards. 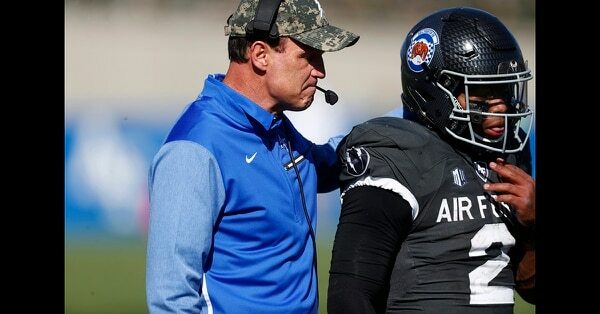 Air Force defensive back Bradley Kim recently announced to his teammates that he is gay. He posted statements on social media and in a story for Outsports , where he said his fellow DBs gave him a standing ovation. He said he hopes he can be an example to people who fear they won't be accepted. An Air Force defensive back is the first openly gay football player to play for a military academy. Kim is declining media interviews in the wake of his announcement so he can "concentrate on my military performance, academics and athletics as the fall semester begins," he said in a statement. "I can't thank everyone enough for the tremendous support I've received since my social media announcement that I am gay," Kim added. "I am excited about the coming season and for the opportunity to be the best cadet-athlete I can be. As I stated in my announcement, I hope my coming out will help others to feel empowered to express who they are." The Falcons open the season on Sept. 1 by hosting Stony Brook. Air Force hosts Navy on Oct. 6 and travels to Army on Nov. 3 in its quest to reclaim the Commander-in-Chief’s Trophy.